acts to organize that system." 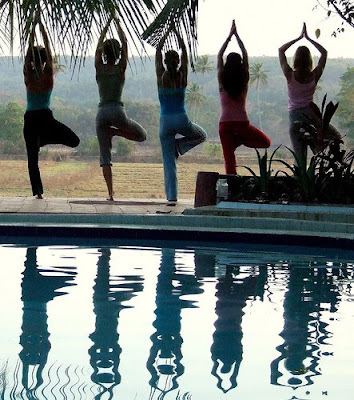 Yoga and meditation are learned in steps. First, simple poses; later the methods become finer, the effects more subtle, the meditation alive and creative. 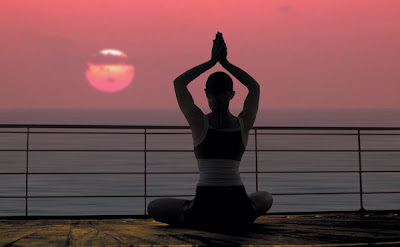 You can choose from the many different methods of yoga and use them as you wish. The basic stretches and breathing, benefit everyone!! By using breathing exercises (pranayama) precisely and regularly, the nervous system can be strengthened, tension and depression can be removed - along with bringing the two brain halves into a better balance. German doctors from Hanover and Colonge have conducted laboratory studies on teachers and students. They concluded that there is no method or medication as effective in normalising the blood pressure as the breathing exercises in yoga. Through breathing exercises, you get to know your energy and, with a new sensitivity, you can begin to control it. 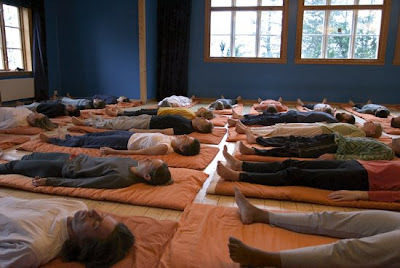 This way the yogi can regulate the functions in the nervous system which are normally outside the influence of the will. The use of attitudes (Mudra) and locks (Bandha) relaxes and increases awareness in certain areas of the body ‑ the so called Chakras. These have a special importance for the harmonic unity between body, mind and energy. Through the Mudras, you also become aware of the relationship between your state and the energy field of your body. If worries or sickness have limited your energy field, the Mudras can bring it back to its full and natural form. I attended Yoga classes some time back & really enjoyed them! Your lovely pics make me want to start up again!! Now! Great post! I have never tried yoga before, looks like I've been missing out! I must get started right away! Thanks for sharing this!!! You sure make it sound great...it actually looks very relaxing. 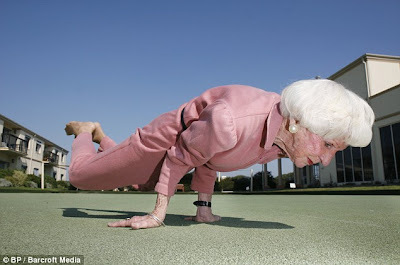 Wow that older lady rocks!!! I've done pilates and tai-chi. I did yoga breathing with pilates, but some day I might try yoga. Years ago a friend, who loves yoga, bought me a DVD and had a little lesson with me to get me started. We laughed until we hurt....you've never seen a gal as uncoordinated as I am..it was NOT pretty! Wish I could do it. Not crazy talk to me. 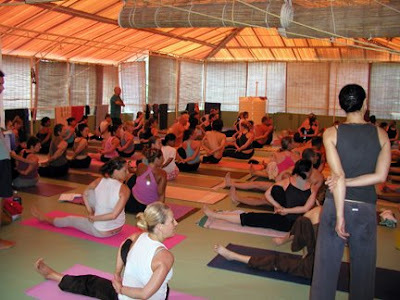 I was once a yoga instructor in Switzerland. That last pose is pretty hard to achieve! These days I just do a pose once in a while and have my focus more on meditation. I wish I could do yoga. I have knees that don't allow me to even sit cross-legged without pain. I never feel like I'm getting the full effect since I am unable to do a lot of the poses in the way they are meant to be done. I do my meditating (mostly) while I am walking each morning. I can say first hand that Prana breathing techniques made a vast improvement in my sleep and relaxation. It sounded silly at first but did wonders for my health and well being. Hi - A blogger friend of mine found your blog and forwarded it to me. The pic of the "Young" ones happens to be my girls. Kind of funny how the web works sometimes:) We were both blown away! Glad someone found my website. Hi there Anonymous, I actually don't know your website, I just googled yoga and these are the pics I found. If you would like me to remove the picture of your girls, by all means let me know and I will do so promptly. Unfortunately, I do not have contact info for you. Thanks so much for visiting! !